With most cruisers it's all about riding in style, taking in the scenery, and well, cruising! Luckily the VTX1800 from Honda isn't most cruisers! This large displacement cruiser is all about performance, and it does not disappoint! 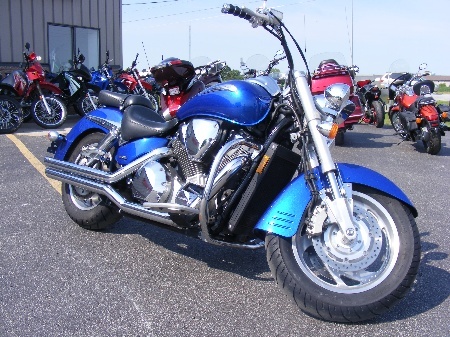 A massive, fuel injected, 1800 cc motor puts out more than enough power to blur the scenery, and is very smooth! 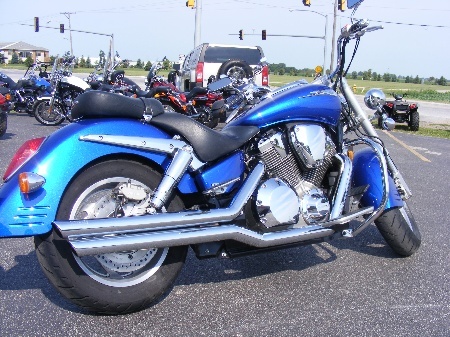 Vance and Hines exhaust pipes wake this twin up even more, and give a very healthy note! 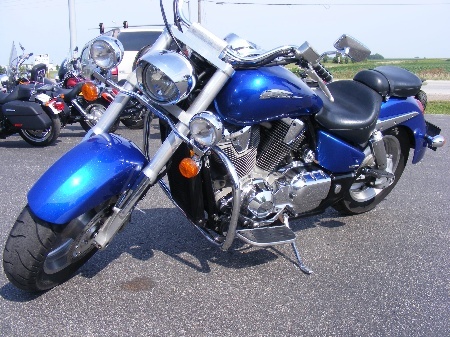 Vivid blue paint, and stylish hi-way bars give this Honda a very clean look, as well as passenger floorboards. 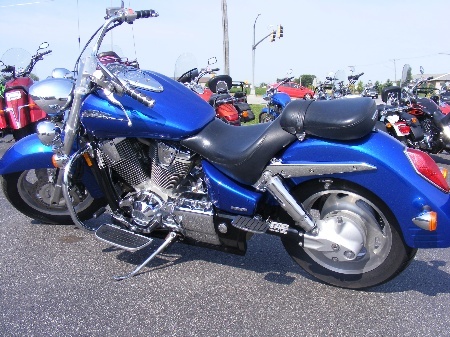 The average mileage for a bike this year and size is 64,000, and this VTX falls under that at only 52,000! Stop by with your trade, or take a look at our long term, low rate financing options right here on our website!